Our Tuesday afternoon started with a beautiful sunny view on the Brooklyn Bridge, yummy American lunch packs and great conversations at the office of AIG, the well-known global insurance company. On our seating tables AIG provided us with a thoughtful agenda consisting of opening remarks about AIG, keynote speakers, panel discussions and networking reception. 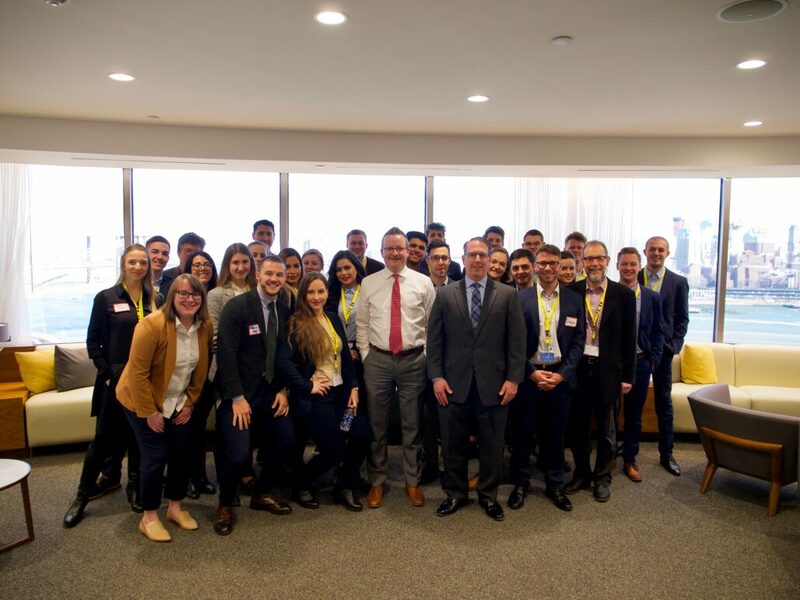 Carlo Crudele, Chief Customer Officer, generously took his time to share with us the purpose of AIG and gave us an insight into the diverse working fields of the company as well as their customer focus. Impressively, the company provides insurance for around 96% of the fortune 1000 companies! Furthermore, the well-structured afternoon continued to be very impressive since various seniors of the company shared their struggles and learnings from their early career paths. Konstanty Owcrarek, Head of Strategy, talked about his remarkable CV in a vivid and amusing way and repeatedly pointed out the importance of networking and keeping in touch with his friends and co-workers. Furthermore, Lauren Pollak, Gil Amoray, Kenny Suarez and Meredith Bacheller underlined the relevance of mentoring programs. 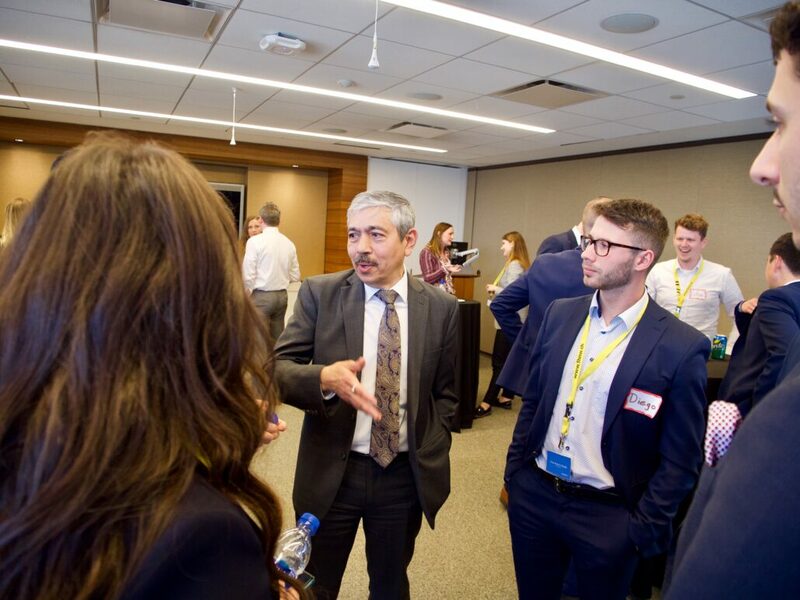 After the panel discussion, the connectUS team was able to ask the professionals for advice about their further career paths during the networking reception and practice their networking skills. 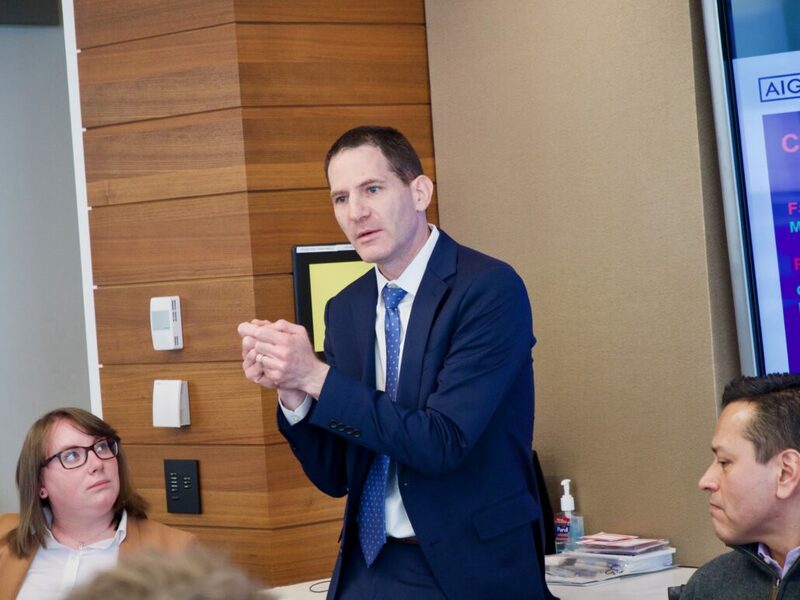 We felt very honored to have gotten the chance to be part of this exciting afternoon at AIG and were overwhelmed by their generosity and interest for our connectUS On-Site Seminar. We filled our luggage not only with new clothing items but also valuable lessons and are ready to board the flight to Los Angeles.